Locally there are many inns of character, restaurants and bistros which will satisfy a wide culinary choice. Further afield there are restaurants of national repute although advance booking would be advisable. Both the Barn and Courtyard Cottage at Pensham are situated at the top of Pensham Hill, less than a mile from the Georgian and riverside town of Pershore. Bredon Hill, immortalized by the poet A E Housman’s in “A Shropshire Lad” provides a picturesque backdrop. The Location is excellent for exploring either the Cotswolds, the Malvern’s, Stratford upon Avon and Shakespeare country, as well as the towns of Cheltenham, Warwick, Worcester and National Trust properties. Events such as the various Cheltenham Festivals, Malvern Spring Show, the local Pershore Jazz, Plum and Brass Festivals are a short drive or walk away as are the sporting venues of Worcester Cricket at New Road and the indoor courts at Pershore Tennis club. For classic car and motor enthusiasts, the historic hill climb locations of Prescott and Shelsey Walsh are situated conveniently nearby. Many RHS, horticultural and gardening events, lectures and courses are held at the Pershore College (part of the Warwickshire group of Colleges) which is adjacent to Pensham Hill House. 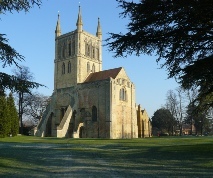 Pershore is famous for its elegant and unspoilt Georgian architecture and its magnificent Norman Abbey. 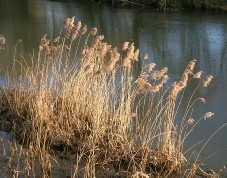 It is also a riverside town and famous as a centre for horticulture. 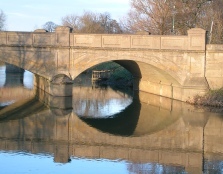 Surrounding villages are equally delightful and the area is ideal for exploring nearby Worcester, Stratford-upon-Avon, the Cotswolds, and the Malvern Hills.